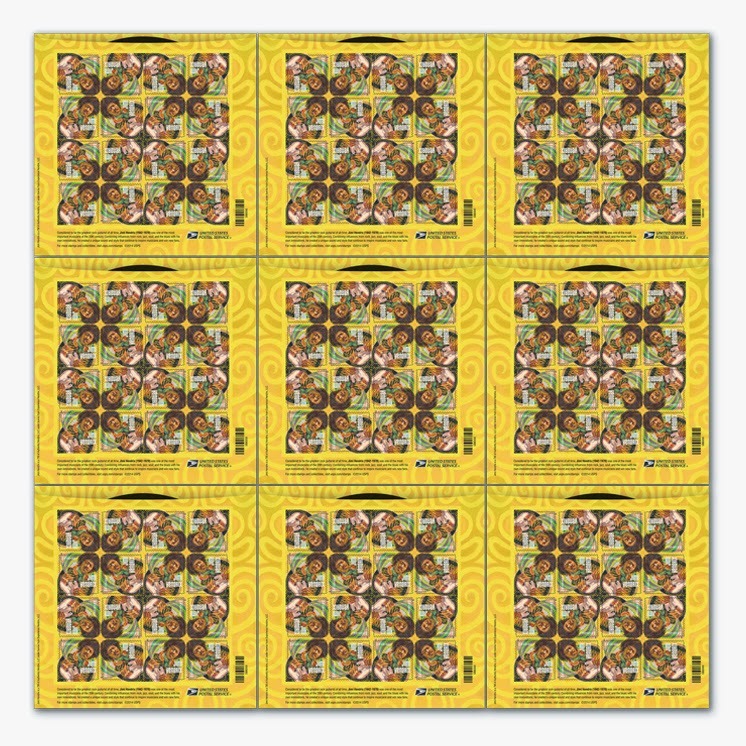 The United States Postal Service just announced the release of their new Jimi Hendrix commemorative stamp today illustrated by none other than our own Rudy Gutierrez! USA Today approved. 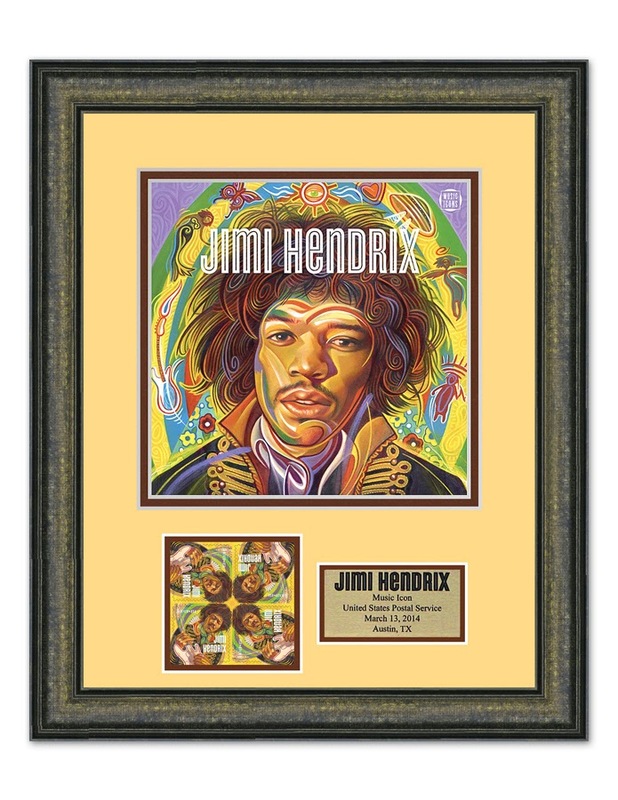 The stamp pane, designed to resemble a vintage 45 rpm record sleeve, features a painting of Hendrix’s face surrounded by colorful swirls and small icons that reference song lyrics or aspects of Hendrix’s life. The various icons include flowers, a guitar, a mermaid and a butterfly. 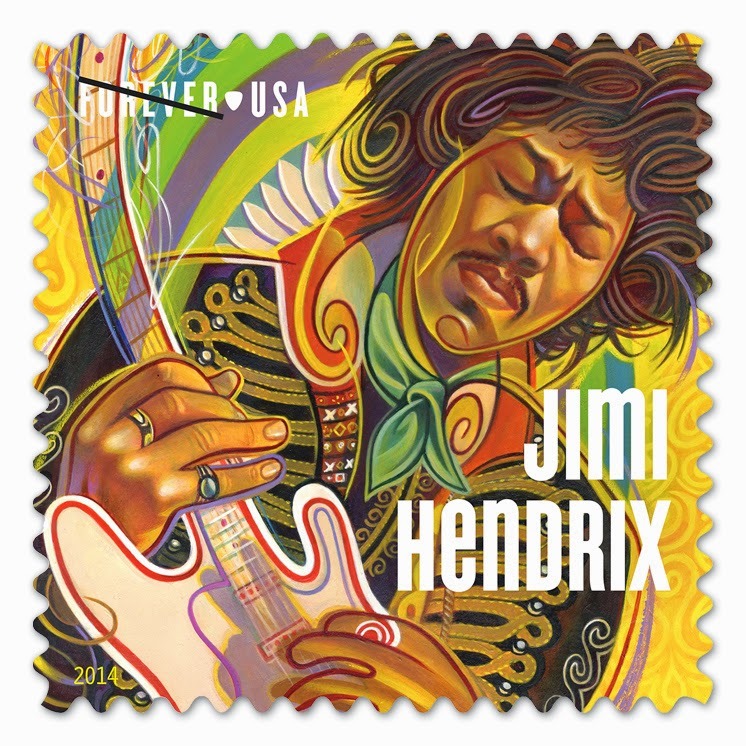 The stamp art shows Hendrix in performance, wearing one of his trademark vintage military jackets and playing one of his beloved white Fender Stratocaster guitars.